Gulzat Muhamedina to present Ailin Collection brand in Altyn Oimaq | The main task of the National Chamber of Entrepreneurs "Atameken"
Gulzat Mukhamedina being in her maternity leave created Ailin collection brand. She started to sew cot accessories and bed linen. “I was a civil servant two years ago when I went on maternity leave. I didn’t know what to do with myself two months before the birth of my second child and I started sewing soft ‘’bumpers” for baby cots. I sold my first product immediately I did not even expect that someone would like my work. After that, I got the idea that I can earn money on maternity leave. I started to sew a besik zhasau, national accessories for baby cot, for my child and customers,” Gulzat Mukhamedina said. The first year Gulzat Mukhamedina specialized only in sewing bed linens, then she decided to study cutting and sewing clothes for women, men and children. She has a little practice in sewing men's clothing but she is able to sew complex models for women and children. “My clients learn about my work from my Instagram page. In general, since my childhood I dreamed of being a fashion designer. Therefore, I probably turned from an office employee into a creative person. At the same time, I like to sew business style wear, ” she said. 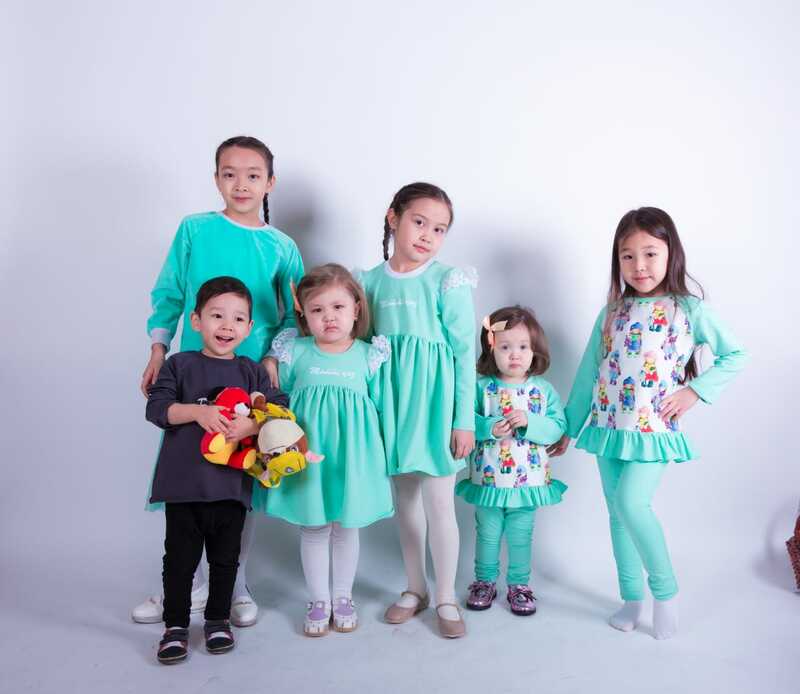 Gulzat Mukhamedina plans to create her own brand of business style for women and girls and continue developing baby line. She hopes that Altyn Oymaq will help her dreams come true.